A new exhibit unveiled on the flight deck of the U.S.S. Lexington in Corpus Christi is special in more ways than one. 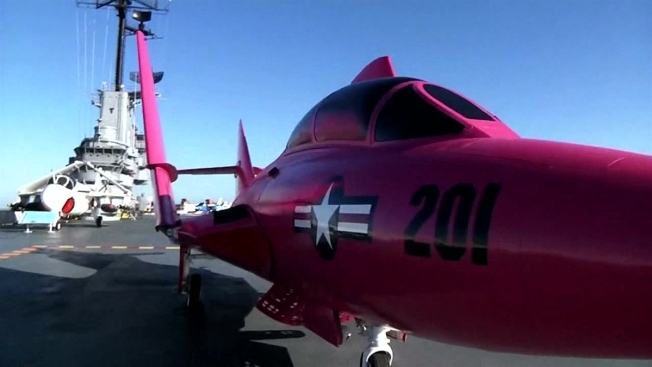 A Grumman F9F Cougar fighter jet, which saw action during the 1950s, was painted pink for the month of October to raise awareness about breast cancer. The plane is the first to ever be painted pink and displayed on the Lady Lex. The pink jet will be on display until the end of October, after which it will be power-washed and restored to its original finish.